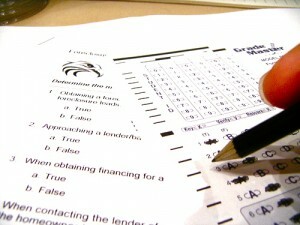 Testing is at the heart of many fraught issues surrounding education reform. Schools and school districts (and possibly even teachers) are evaluated based on their test scores. Educators say they're obliged to teach to senseless standardized tests that don't accurately reflect what students learn. On the policy side, the Department of Education is investing millions of dollars in a new high-tech testing system Arne Duncan calls Assessment 2.0, but will that change the core of the problem around assessments? I am convinced we have made little or no progress in improving education because we misdiagnosed the problem at the outset and, consequently, our efforts to improve student performance have been seriously off course... Why is it necessary to increase the use of testing when we know from years of previous testing what the results will be? Why make standards more rigorous when experience has consistently shown that student performance does not improve much? The new common standards appear to be better than most state standards, but experience suggests that they will increase only standardization, not student learning. Very interesting read, with lots of fodder for discussion. Read the rest here.